Like Sizzles, Craftee was prodded and poked, weighed and twisted, and passed all the tests. 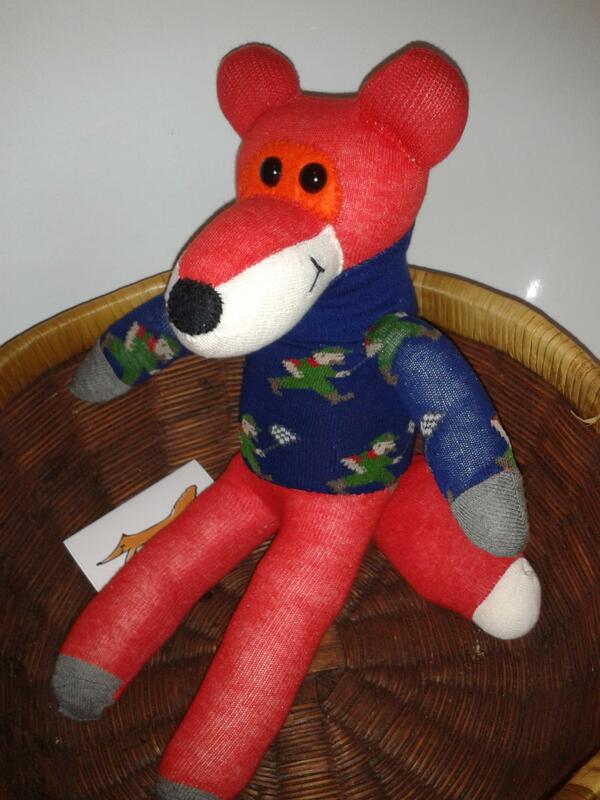 I made a non fox coloured test animal, as finding orange socks can be very difficult! My tester was yellow and black and without the orange and white didn’t look like a fox at all. Since then, the first CE marked fox has been made, and has been named Fidget! Fidget sports a dark blue jumper, with pictures of a little man catching butterflies, or is it a fishing net? I’m not quite sure, but Fidget loves everything to do with the outdoors – as most foxes do. At the same time as testing Craftee, I tested a little backpack and a tutu for my sock animals. 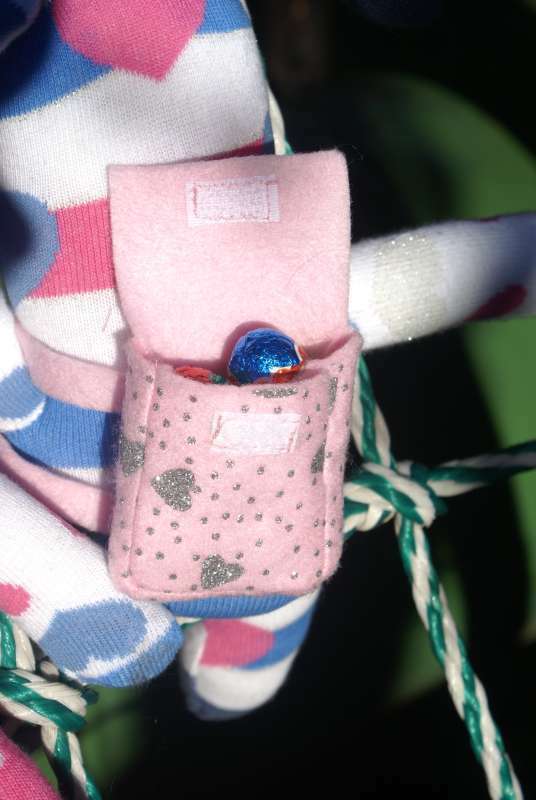 While in South Africa, I used to sell the sock bunnies with backpacks on at Easter time, as the bunnies love to carry their easter eggs in the backpacks.